Astra Agro Lestari is an oil palm plantation operator majority owned by a British company. It has become the latest company to join the sugar rush in Merauke. 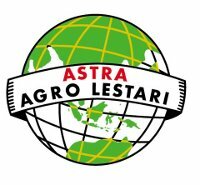 Company Description: Astra Agro Lestari is a plantations business which is part of Astra International Group. While Astra International is a diversified group notably involved in motor vehicles, Astra Agro Lestari has exclusively focussed on oil palm. In Merauke the company is making its first attempt to become a sugar producer. Owned by: Astra Agro Lestari is listed on the Indonesian Stock Exchange, although Astra International owns 79.7% of the stock. In turn, a majority (50.11%) of Astra International is owned by Jardine Matheson Holdings Limited, a British company based in Hong Kong, the remaining shares also being traded on the Indonesian Stock Exchange. Plans for Merauke: With an aging stock of oil palm plantations and land for new oil palm increasingly hard to come by, Astra Agro Lestari has anounced its plan to diversify into sugar-cane production in Papua.1 A company linked to Astra, PT Darma Agro Lestari, has been surveying land on the former concession of PT Digul Agro Lestari in Tubang district. That concession was for a 40,000 hectare plantation, but in media interviews about their plantation Astra spokespeople commonly refer to 20,000 hectares. AwasMIFEE has not yet seen the permits Merauke Regency Administration have issued. News from the Ground: Local people report that Astra has set up camp in Kampung Welbuti. They did not ask to stay, they just moved in. Astra is trying to win local people over with offers of health and education services. They have brought schoolteachers with them, but local people feel that the teachers look suspiciously like Kopassus special forces officers.